Lunor likes to focus on their own point of view, a change of view, the big picture, transparency in our conduct, life in all its aspects, the healthy mix. But they also believe in understatement. That’s why they’ll keep it brief. Their vision, as a manufacturer of glasses, is to make an uncompromising impact with quality, masterful craftsmanship, and consistent workmanship. Lunette d’Or was where it all started, and where they got their name: Lunor. Hand-crafted gold will remain part of all their pieces in future, too. 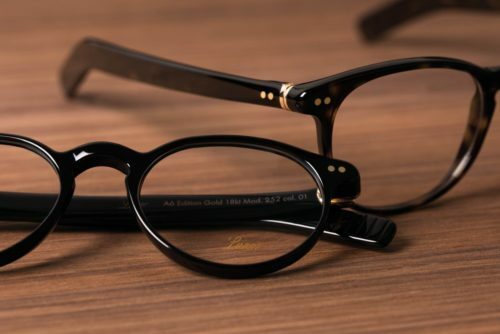 Lunor’s springless, riveted hinge with the classic double rivets on the temples and frame front are an essential factor in the unusually high level of comfort and legendary durability. It is in the Lunor screw with the convex head, the Lunor W-shaped bridge, and the Lunor titanium pads. It is in the palpably sophisticated surface treatment. Together with consitency, their nature is to value harmony and appreciation. That is why they offer spectacle enthusiasts particularly faithful companions. Wooden and leather cases that remain true to their form, and accommodate refinde frames carefully in the smallest space. They exclusively source select wood from domestic forests, and our leather cases are sewn out of soft cowhide. Together with a precisely produced case and high-quality microfiber cloth, Lunor frames become a true one-off..